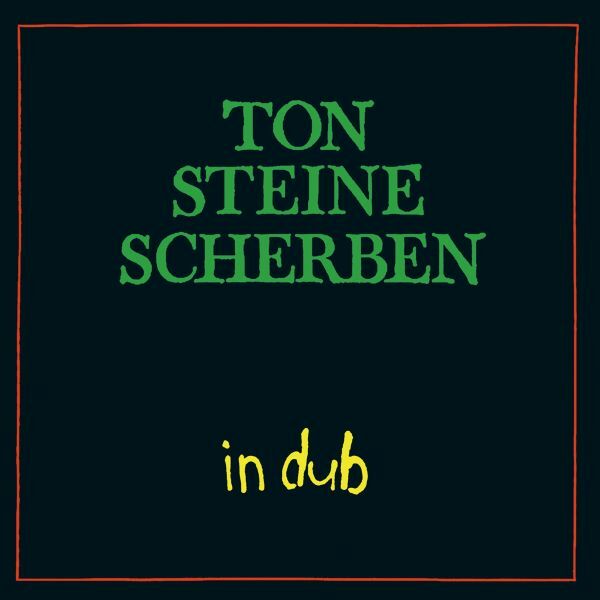 Even though Ton Steine Scherben never received the international recognition of some of their German contemporaries, the group, founded in Berlin in the late 60ies, remains one of the most influential groups from the German counter-culture. In times of Krautrock, Kraftwerk and Kosmic Music, they combined more traditional guitar-based rock sounds with German protest lyrics that covered a whole range of topics - often radical and political in the beginning, and quite lyrical and tender in later times. Their singer Rio Reiser also managed a successful German solo career before his untimely death in 1996.The songs and lyrics of Rio and Ton Steine Scherben remain to this day a source of inspiration for fans and current artists here in our country.And their own record label, David Volksmund Productions, remains one of the earliest and still active German independent record labels.The story how "Ton Steine Scherben In Dub" came into existence goes back about 20 years. Back then, the young Echo Beach label became known for its (still-running) "King Size Dub" compilation series, which combined Dub music from myriads of international collaborators and was sold for a nice and inexpensive price, essentially keeping the interest in all things Dub alive.The third volume of that series concentrated on the German Dub scene and contained Dub- and Reggae-related songs by some of Germanys biggest artists, such as Die Toten Hosen and Nina Hagen. Another highlight of that sampler was the song "Mole Hill Rocker", a collaboration between Ton Steine Scherben founders Rio Reiser and R.P.S. Lanrue.Ever since then, Echo Beach kept thinking about further collaborations with Ton Steine Scherben. Finally, Echo Beach CEO Nicolai Beverungen and two of his established Dub collaborators, Fe Wolter (Di Iries, Dubvisionist) and Alexander Hornbach (Aldubb) got together with Lanrue, this time in order to create Dub mixes of songs from all phases of Ton Steine Scherbens career.The groups street-fighting hymn "Keine Macht fmand" gets combined with the rhythm group of Gentlemens "The Evolution", with additional new guitar sounds by Lanrue, and, yes, Nina Hagen on background vocals.A love song such as "Wunder" becomes Reggae-fied under then hands of Aldubb. Other songs, such as "Filmkuss" and In den Tagen" have been completely re-structured at the mixing desk.The result is a Dub kaleidoscope that combines the essences of both Ton Steine Scherben and Echo Beach.